Working up north, it’s not very often my job takes me south of Kalamazoo. This past Saturday was one of those rare exceptions. 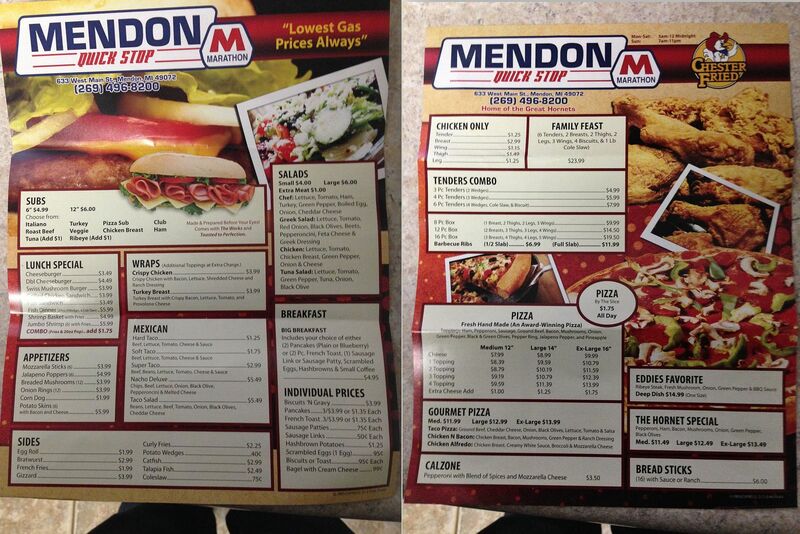 I found myself in Mendon for a while and when I stopped to get gas, I was also in the mood for something to eat. Lucky for me, I pulled in to the Marathon station right on M-60 on the west side of Mendon. 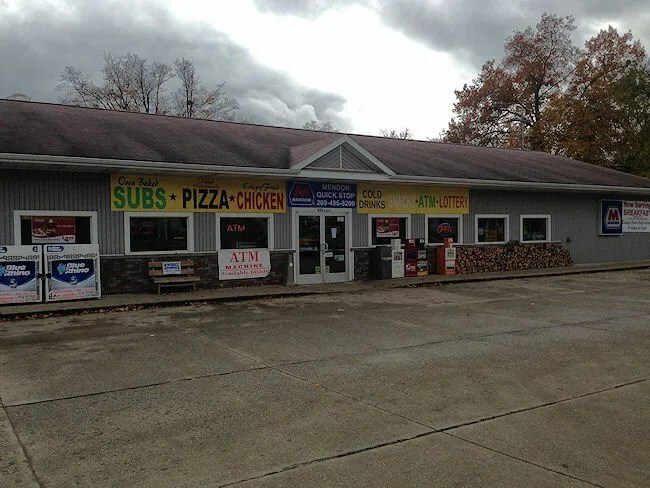 I say “lucky for me” because there is a pretty large hot food section inside the gas station. After filling up, I headed inside to grab a pop and the smell of fried chicken hit me right away. I noticed they had Chester’s Fried Chicken available and they were touting their pizza on signs near the door. As I made my way to the order counter, I noticed a large menu board hanging above the chicken case. There is actually a pretty large menu that includes sandwiches as well as wraps, Mexican options in addition to the chicken and pizza I already mentioned. Pizza was tempting, and I didn’t realize at the time they had slices available in a case near the cash register, but I saw a special on chicken tenders and how often do I turn down chicken tenders? The Manager’s Special for the day was 6 Chicken Tenders and 4 Potato Wedges for $9.99. They chicken and tenders were pulled right out of the warming case so there was no wait. I grabbed the Styrofoam box, grabbed a Mt. Dew and headed to the cash regsiter. I didn’t plan on eating all of the food right away. I got the larger portion not to share, but so I would have a meal later in the evening as well. I pulled one of the wedges out of the box first. The potatoes were large and had what appeared to be some of the chicken breading it on. The outside of the wedges were very flaky and tender. The inside was a little too raw for my tastes, but that didn’t really stop me from eating it. I’m not really a huge fan of potatoes that taste like potatoes….weird…I know right….but I chowed down on them anyway. The tenders were pretty large…and most importantly, juicy. 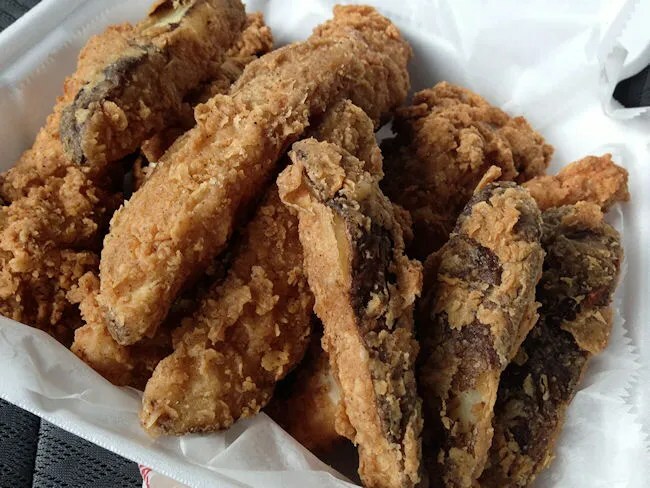 The large pieces of white meat chicken had a really flaky, crispy breading but the meat inside was soft and juicy. A three piece snack could have easily fed me and a maybe even another person just because they were so big. 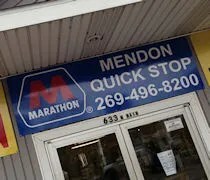 Like I predicted, the meal lasted me more than one meal…it was actually three The Mendon Quick Stop isn’t anything fancy. There’s nothing there that is going to blow you away, but it is good, solid food in a small town where quick service options are almost non-existent.